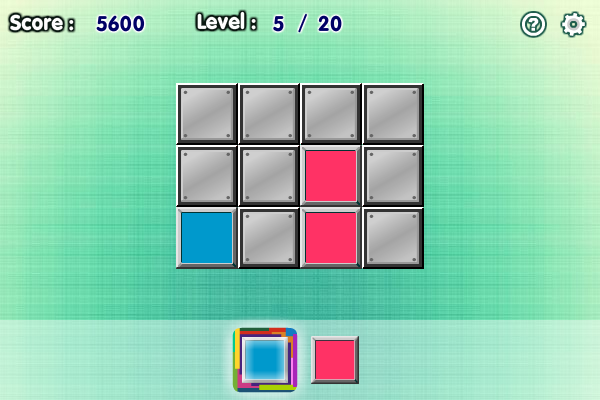 In this game there will be a grid of blocks. Some of the blocks will be coloured for a few seconds for you to memorize the pattern, the colours will then disappear and you will need to put the colours into the grid to reproduce the original pattern of colours. As the game progresses the grid will be larger and the number of colours will also increase, making the game more and more difficult. Destruction Zone (D-Zone II) is an arcade/strategy science fiction tank war game. The evil wizard strikes back and puts the fabulous dwarves into a dark prison in his mystery castle. You are the only one who can rescue all of the dwarves from the wizard\'s tower.